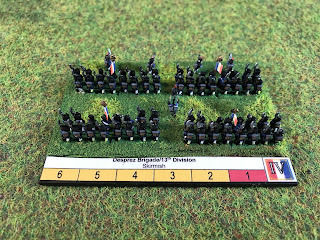 The other half of the 13th Division is the 2nd Brigade commanded by Général de Brigade Comte Francois-Alexandre Desprez and consisted of the line regiments of the 48th and 69th. With the rest of the division, the 2nd brigade was involved with the fighting at Limal during the close of the Battle of Wavre, but I can't find much else out about them than that. 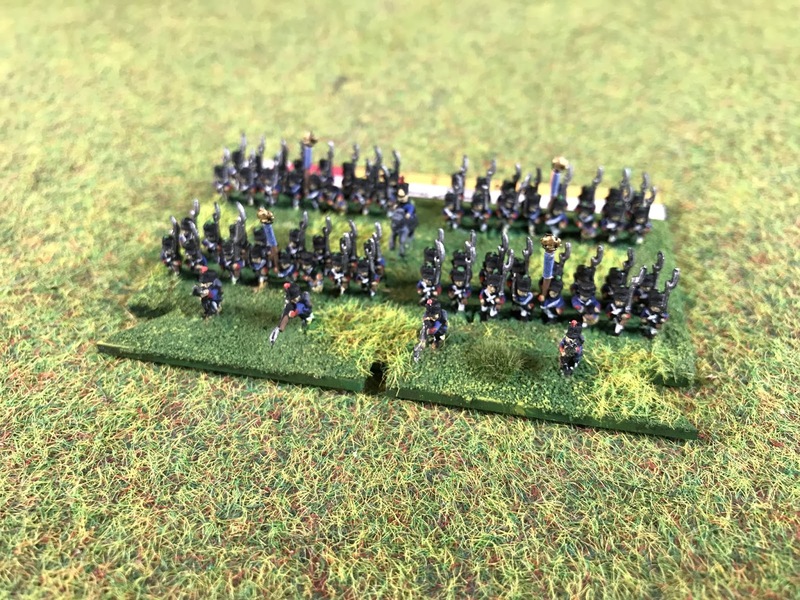 This is another typical French infantry brigade, with an Elan of 6 and Skirmishers. 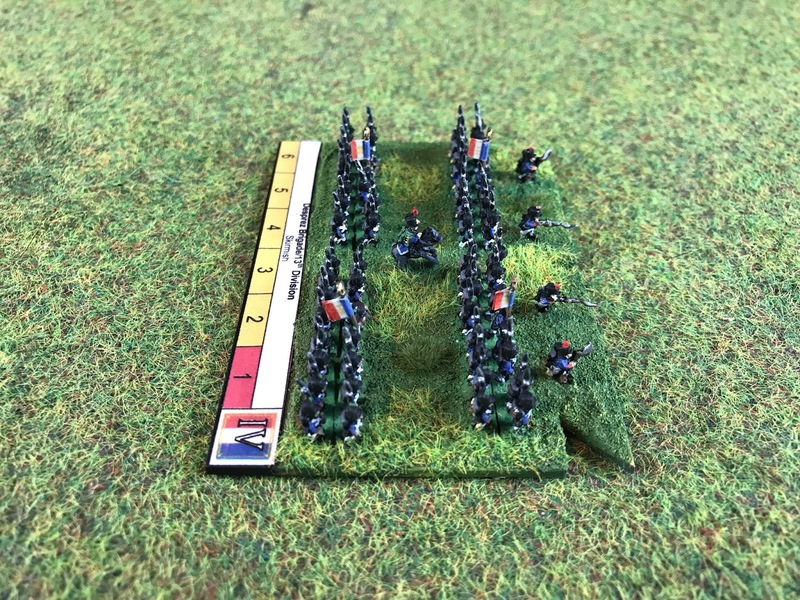 This makes them pretty solid in Blucher, and similar to a large amount of the French army. 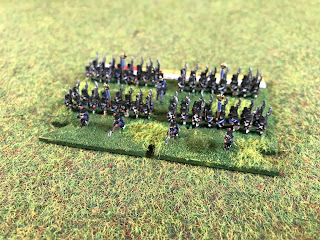 The scant information for this post came from Mark Adkin's Waterloo Companion (Amazon Affiliate link) and John Franklin's Waterloo 1815 (2) Ligny & Waterloo 1815 (3) Mont St Jean and Wavre by Osprey (Amazon Affiliate link). 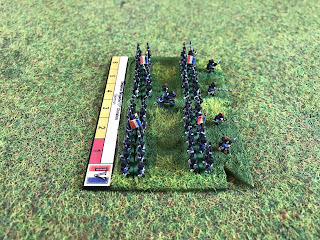 Speaking of French Line Infantry, I am currently selling a number of brand new boxes of the Perry Miniatures 28mm figures on EBay. Click HERE to see them There are 42 figures in the box and are lovely sculpts and I only have a limited number for sale, so be quick!